According to the national weather service, a significant storm is finally on its way to drought-ridden Northern California. 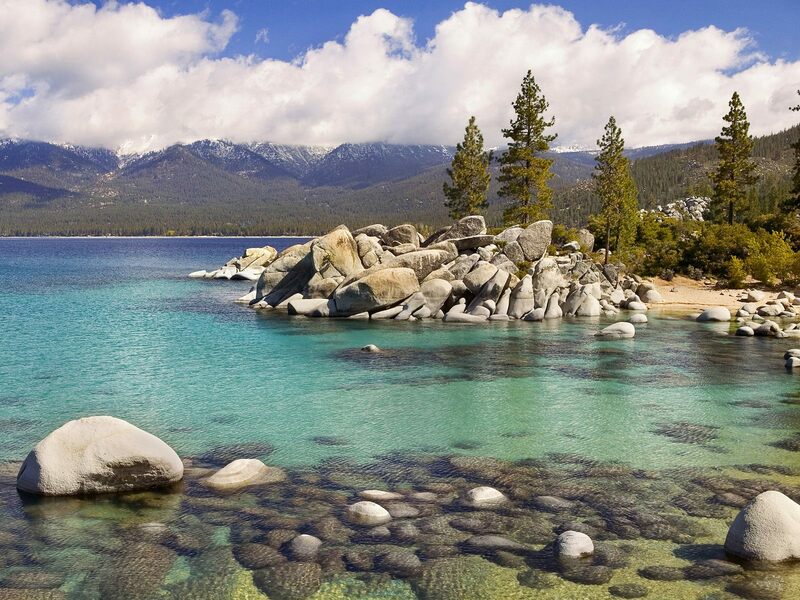 That is extremely good news to residents and visitors of the greater Lake Tahoe area since it’s been the driest start of the winter season in recent memory. Further drumming up excitement is the fact that experts say the storm expected to arrive later this week is just the first in a parade of stronger ones to come. While the brunt of the incoming weather will push to the north, this is extremely good news to both water officials and outdoor enthusiasts looking to finally introduce their skis and snowboards to fresh powder. All in all, three storms are expected to move into the area starting Wednesday or Thursday – all of which are listed as “moderate to strong.” That is three more storms than the region has seen in almost two months. In the Pacific Northwest the total snow fall will be measured in feet, not inches. The Sierra Nevada won’t rival the Puget Sound or the Cascades, but the amount of rainfall will be significant and mark a huge shift in the weather pattern. 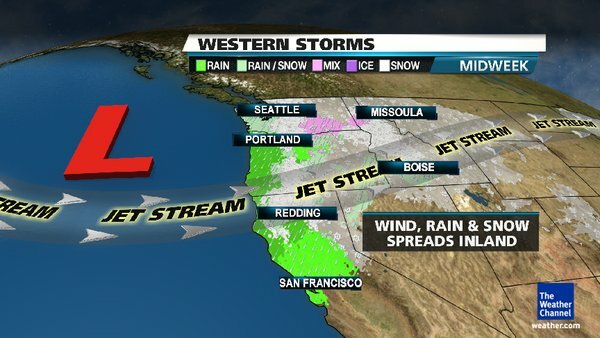 “This should put a dent in the drought worries for at least parts of California, currently plaguing half of the state. Fortunately, California’s reservoir levels are still high from a wet winter/spring 2010-2011, so, there are no long-term water supply worries just yet,” stated Erdman. With a procession of storms expected to march into the area in the week to come, perhaps the blizzard conditions will finally beat away any long-term water worries. And skiers and snowboarders can once again parade down to the local resorts to enjoy a little fresh, natural snow. While a very astute quote regarding life, when it comes to skiing and snowboarding in Lake Tahoe this holiday season, resort officials have decided to bring in their own weather as time continues to tick away. There is no substitute for Mother Nature, but apparently those in Tahoe are doing the best they can to make up for her interim absence. Having so many resorts open without a storm hitting the region in more than a month may seem odd. After all, the sunny skies are more apropos for a nice hike or day at the beach. Yet, while Mother Nature refuses to bring what ski resort officials really want – white, fluffy snowflakes and lots of them – she is offering extremely low temperatures. 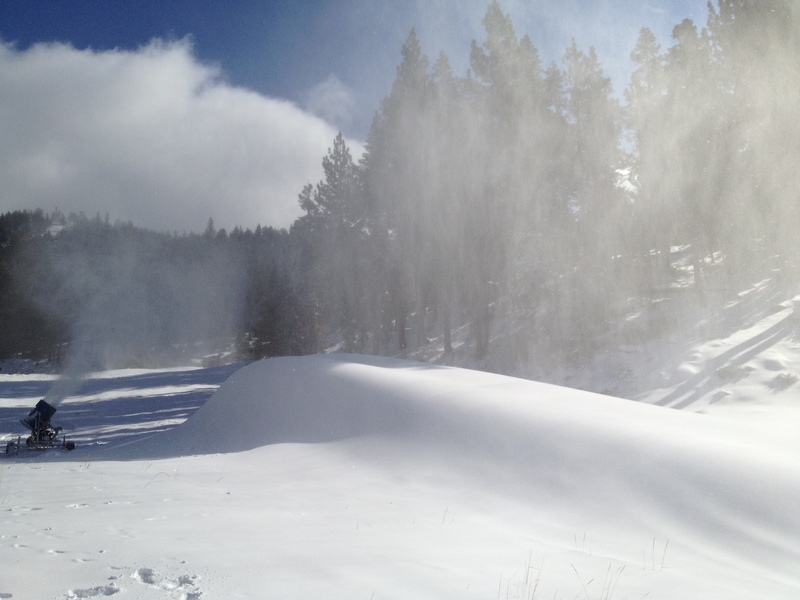 And that has allowed snow-making machines to cover several designated areas and runs in frozen white gold. Thus, while there are only a few scattered white patches on the north sides of roads throughout the Tahoe Basin, many mountain ski runs are covered at least a foot deep in snow. While Father Time rapidly takes away the last few remaining days of 2011 and the weather continues to remain sunny, those conditions at Lake Tahoe ski resorts – to the delight of skiers and snowboarders – remain stormy. Have a Wonderful Tahoe Holiday!